372-piece cloisonné pectoral of Princess Sithathoryunet. Gold, carnelian, lapis lazuli, turquoise, and garnet. 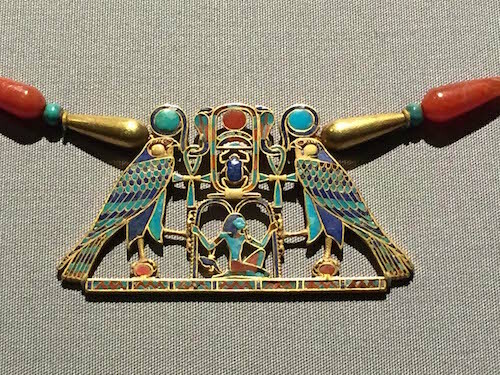 12th dynasty (1887-1878 B.C. ).